Joan Biskupic, USA Today Supreme Court reporter and author of American Original: The Life and Constitution of Supreme Court Justice Antonin Scalia. The book published Nov. 10 is the first full-scale biography combining the life-story and public impact of the court’s most provocative justice. Scalia provided exclusive interviews to the author. Richard Wolffe, MSNBC analyst and author of Renegade: The Making of a President. The book is the first account of the campaign, based on the author’s work as a Newsweek correspondent covering Obama for 21 months. Wolffe obtained many exclusive interviews with Obama and top aides, providing unparalleled access. Wolffe this month announced a contract for a new book on the administration. 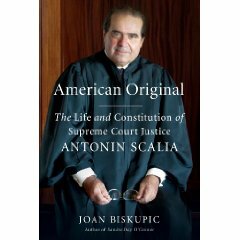 With exceptional clarity and research, the author weaves the story: Scalia, a brilliant Nixon administration official, went on to co-found a powerful conservative movement to reorient the judiciary, and was confirmed to the Supreme Court by a 98-0 vote in 1986. He thus became the first justice of Italian-American background and just the sixth Catholic justice in U.S. history. He is now one of six Catholics among the nine on the court. More generally, Scalia’s jurisprudence helped shape our time in such ways as the court’s 5-4 vote ending the 2000 Bush-Gore recount. 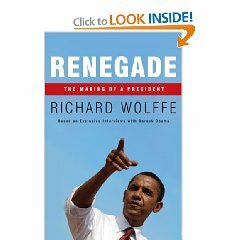 Wolffe’s title Renegade is partly derived from the candidate’s Secret Service nickname. This provides a near-parallel with John McCain’s theme of “Maverick” and Sarah Palin’s autobiography Going Rogue. The book ends with the start of the new Presidency. But the author is well-positioned to comment on current issues that will be included in the DC Update radio interview. As a listener advisory: Mac computer users need the tool “Parallels” to hear Windows Media Player. Joan Biskupic has covered the Supreme Court since 1989. Before joining USA Today in 2000, she was the Supreme Court reporter for the Washington Post (1992-2000) and legal affairs writer for Congressional Quarterly (1989-1992). She is the author of the 2005 biography Sandra Day O’Connor and co-author of Congressional Quarterly’s two-volume encyclopedia on the Supreme Court (3rd Ed., 1997). She holds a law degree from Georgetown University, a master’s in English from the University of Oklahoma and a bachelor’s in journalism from Marquette University. Her new book’s descriptive details via Amazon.com include a five-star rating from all four reviewers so far. Details. Richard Wolffe is an award-winning journalist and political analyst. He is an MSNBC contributor, finishing an interlude as a senior strategist at Public Strategies before his next book. As a columnist for Daily Beast, he broke the story last month, “Obama’s Secret Climate Pact.” He covered the length of Barack Obama’s presidential campaign for Newsweek magazine. Earlier, he was U.S. diplomatic correspondent and deputy bureau chief for the Financial Times. 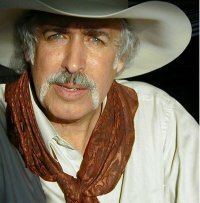 His book’s descriptive details and reader reviews via Amazon.com, include a 3 ½-star rating from 125 reviewers so far and a four-star rating from 36 Barnes & Noble reviewers. Details. Scott Draughton is an attorney and business radio pioneer who founded the My Technology Lawyer Radio network. Draughon, author of the 2007 book The Art of the Business Radio Show, has long experience also in guiding entrepreneurial success through close attention to the dynamics of the marketplace, law, government policy and effective marketing. Details: http://www.mytechnologylawyer.com. Andrew Kreig is an investigative reporter, author and attorney who reports frequently about official corruption on such new media sites as Huffington Post, Connecticut Watchdog, Nieman Watchdog and OpEd News. Former president of the Wireless Communications Association International from 1996 to last summer, Kreig is a senior fellow with the Schuster Institute for Investigative Journalism at Brandeis University and a research fellow with the Information Economy Project at George Mason University School of Law. His coverage of Supreme Court books includes a 1979 interview with The Brethren co-authors Bob Woodward and Scott Armstrong about controversies involving their research methods. The congressional debate on health care reform and allegations of Russian regime-ordered killings were featured on today’s DC Update edition of My Technology Lawyer Radio. The Rev. Walter E. Fauntroy, former Washington, DC Congressman (1971-1990), an advocate of expanded health care as a basic civil right, and an organizer of the 1963 March on Washington and the 1965 civil rights marches in Selma, Alabama. Steve LeVine, the Business Week Washington correspondent who drew on his 11 years work in the former Soviet Union to author the recently published Putin’s Labyrinth: Spies, Murder, and the Dark Heart of the New Russia. Update is co-hosted by the show’s founder and business radio pioneer Scott Draughon and by Washington commentator Andrew Kreig. The hosts began the show with an update on Washington policy news affecting the nation’s business, politics and quality of life. Topics included new developments in the health care battle, and the faith-based business success of the Chic-fil-A restaurant chain. The show’s first guest helped lead a unique town hall-style hearing on Oct. 27 whereby patients whose insurance had expired testified about their limited options under the nation’s health care system. In view of a Harvard study estimating 45,000 Americans dying each year because of lack of coverage, Fauntroy argued that basic health care should be considered as civil right under reform legislation. LeVine’s book Putin’s Labyrinth focuses upon the life-and-death struggles by Russian dissenters to the government dominated by Prime Minister Vladimir Putin. LeVine described how six suspicious deaths in recent years of dissenters and others illustrate an alarming long-term pattern in Russian government. Those patterns arguably continue with this week’s suspicious death in a Russian prison of Sergei Magnitsky, 37. The prisoner was a Russian lawyer for the Hermitage Fund who had uncovered evidence of official involvement in the theft of $230 million from the government. LeVine’s book was originally published last year, and has been re-released in paperback with a new Afterword. Walter Edward Fauntroy, 76, is the retired pastor of the New Bethel Baptist Church in Washington, D.C. and a civil rights activist. He is also a former member of the U.S. Congress. He describes his life work as to advocate public policy that “declares Good News to the poor, that binds up the broken-hearted and sets at liberty them that are bound.” A close friend of Dr. Martin Luther King, Jr., Fauntroy helped organize the Alabama civil rights marches whose brutal disruption by police in March 1965 shocked the public and federal authorities into introducing the Voting Rights Act of 1965. That law enabled widespread black voting in the Deep South for the first time since Reconstruction. Steve LeVine covers foreign affairs for Business Week. Previously, he was a correspondent for Central Asia and the Caucasus for The Wall Street Journal and The New York Times for 11 years. His first book, The Oil and the Glory, a history of the former Soviet Union through the lens of oil, was published in October 2007. Putin’s Labyrinth, his new book, profiles Russia through the lives and deaths of six Russians. Details: www.oilandglory.com.